You're facing an uphill climb of 717 vertical meters on this hike. 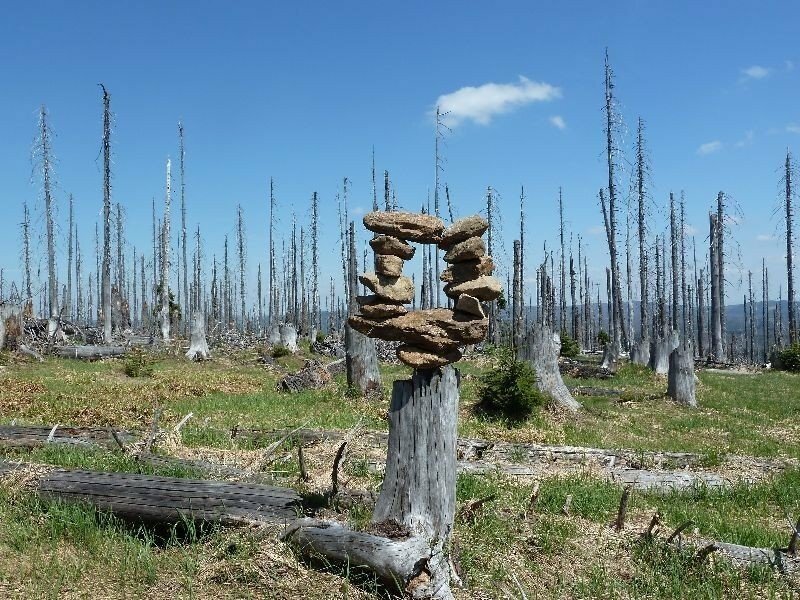 The hike takes you to an elevation of 4770 ft.
You're traveling a distance of 7 miles on this moderate trail. Average length of all hikes in Bavaria is 28 miles. Starting at the parking lot Gfäll follow the path „Bärlapp“ to the left side. After approximately 20min turn sharply right, still following „Bärlapp“ and start ascending on the steep and rooty path called Klingenbrunner-Rachelsteig. Afterwards hike upwards through forest for about half an hour until you reach the hut Waldschmidthaus. Up there, where the forest cover is already very light, you can have a short rest at the well located guesthouse. 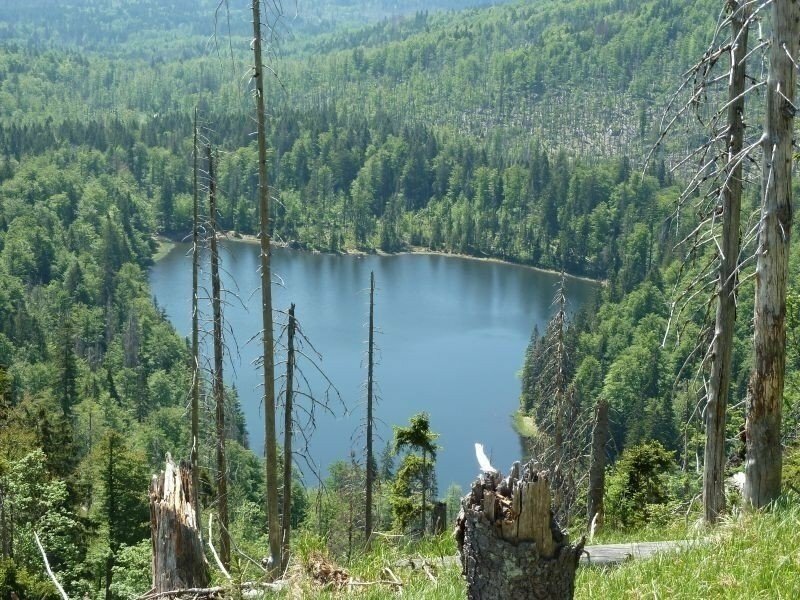 From there you should definitely take a detour to the right, where you will have a gorgeous view on lake Rachel. After the short break continue via the path Goldsteig („yellow S“). On stony stairs climb up to the peak of Großer Rachel. 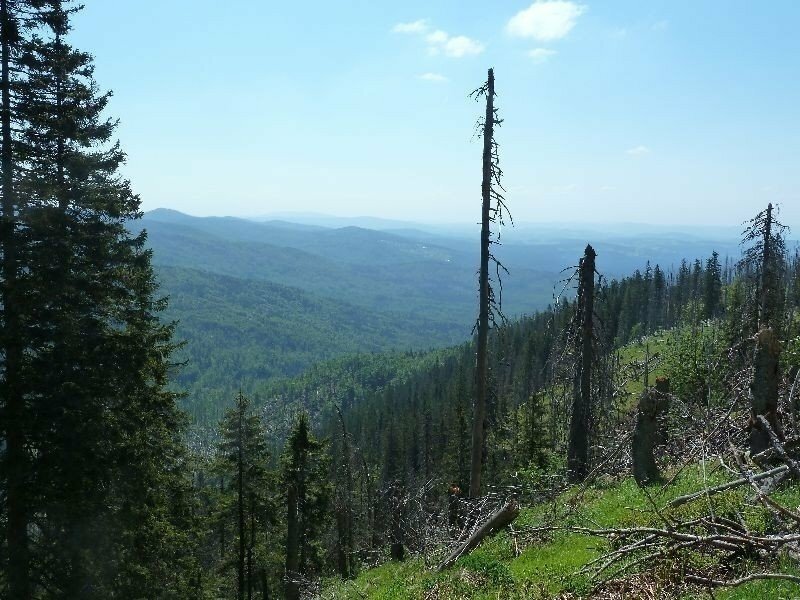 There you will have a magnificent view across the bavarian forest and even until forest Böhmischer Wald on the czech side. 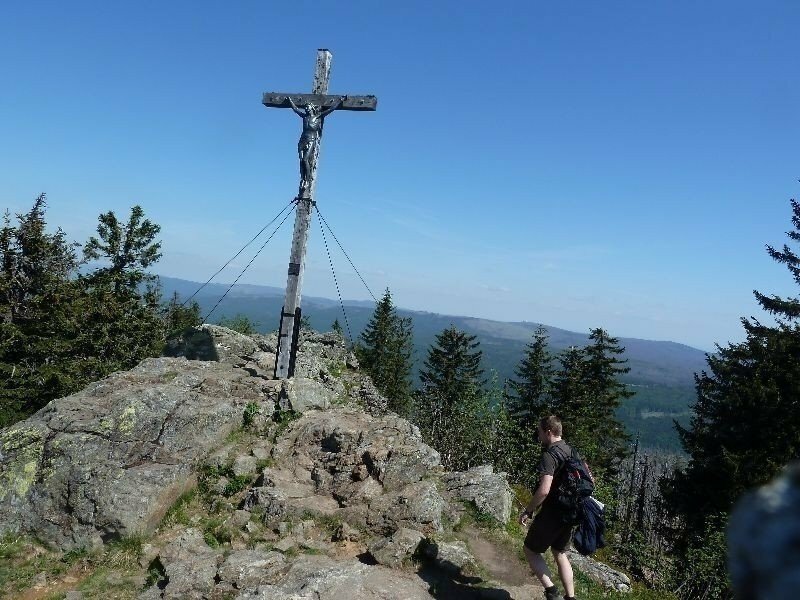 From the peak ascend to the left on a very steep and rocky path and enjoy the view across Böhmerwald. Again a little detour is worth the trouble. 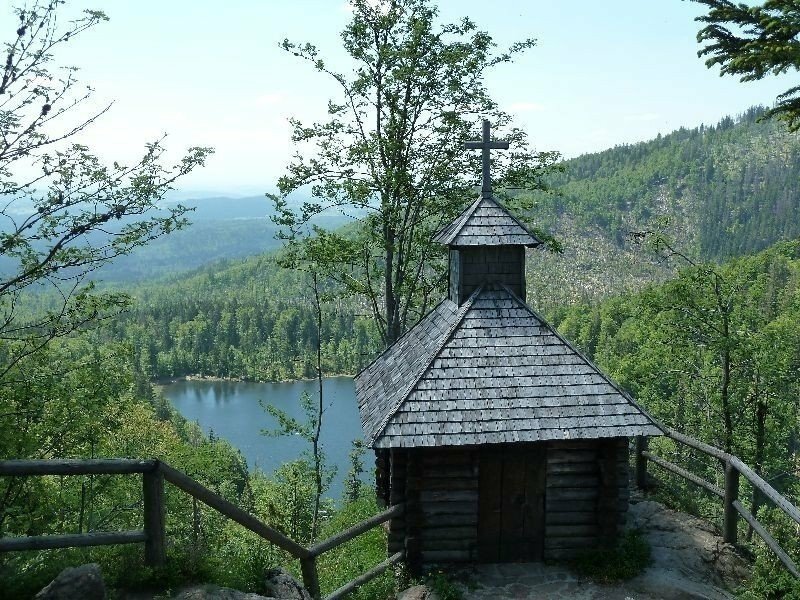 On Auerhanweg you will get to chapel Rachelkapelle, which is located right above lake Rachel and provides a wonderful view. Ideal to rest. Continue descending through a virgin forest area. Follow the path „Goldsteig“ and „Specht“ along a small stream towards Felsenkanzel, an alpine hut with a sight on mountain Rachel. Only another half an hour and you will reach the last stop of that hike, hut Racheldiensthütte. Right underneath Racheldiensthütte you will find a parking lot and a bus stop from where you head back to Spiegelau. Many steep ascents. Partly rooty and rocky. Strong footwear recommended, ideally hiking boots. Take the bus „Igelbus 7575“ from Spiegelau to parking lot Gfäll. Parking lot Gfäll with bus stop Gfäll.